Your Visa is your permission to enter Japan and to obtain a Residence Status. As soon as you receive your Certificate of Eligibility (COE) through KGU, you should go to the nearest embassy or consulate of Japan in your home country/country of residence to apply for a “Student Visa”. Please contact the Japanese embassy/consulate directly to find out what other documents may be needed. You will receive more details about how to fill out the visa application form along with your COE so make sure to read the cover letter carefully. Once you arrive in Japan with your Student Visa and pass through immigration, you will be given a Student Residence Status. This is your permission to stay in Japan as a student. At this point, your Student Visa is no longer important- regardless of whether it is a single- or multiple-entry visa. The Residence Status is all that matters. At the airport, you will receive a Landing Permission Seal in your passport that shows how long you may stay in Japan. We strongly suggest you enter via one of the airports listed below, as you will receive your Residence Card upon arrival. If you land via any other airport, you will receive your Residence Card later, which may cause problem during orientation. Once you have your Residence Card, then your visa expiration date and landing seal expiration date are no longer important, so you can ignore those. You must carry the Residence Card at all times as your ID. The Date of Expiry on your Visa is the date by which you must enter Japan. Once you are in the country, you can ignore this date. 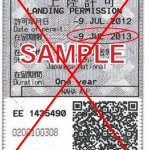 The Landing Permission seal shows your initial allowed duration of stay in Japan. 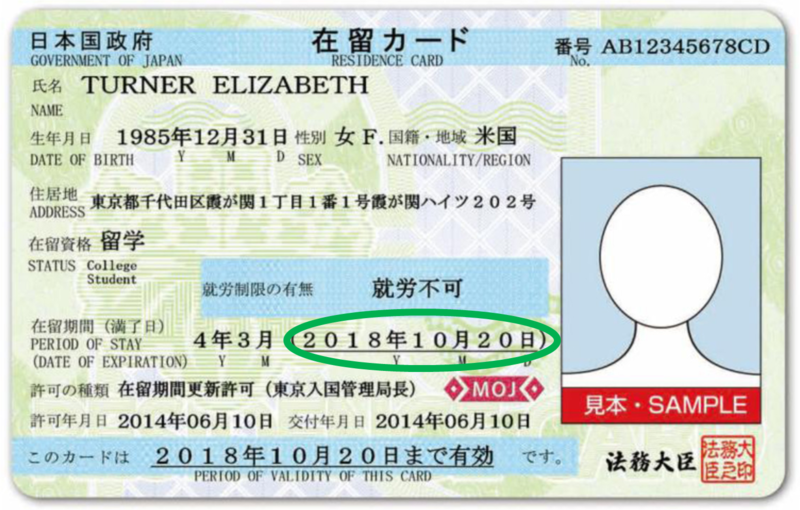 The Date of Expiration on your Residence Card is the date that shows how long you can stay in Japan.